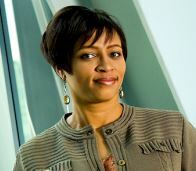 Tiffany Eubanks-Saunders is a Senior Vice President at Bank of America, where she currently serves as the Enterprise Associate Services Executive. In this role, Tiffany has responsibilities for corporate-wide operations of Corporate Travel Management, Sport & Event Ticket Management, Rewards, Incentives & Recognition, Office Supplies as well as other diverse commodities, in which she manages hundreds of millions of dollars of spend on behalf of the company. Prior to this role, Tiffany served as Bank of America’s Affinity Debit Executive and was responsible for development and managing the company’s Affinity Check Card business – the first of its kind in the industry. She also managed the Bank’s multi-million dollar Rewards Check Card business and had responsibility for establishing strategic alliances for Bank of America with Fortune 500 companies. 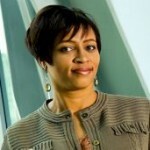 Since joining Bank of America in 1993, Tiffany has held various positions in Bank of America’s Corporate Marketing, Consumer Deposits and Card Services divisions, including Product Management, Marketing Management, Segmentation Management, New Product Development and New Business Development Management roles. From a civic involvement perspective, Tiffany sits on the National Board of Directors for the INROADS, Inc. organization, as well as the Alexander Children’s Network. She has received a presidential citation as a Distinguished Alumni of North Carolina A&T State University and serves on the National Finance Committee for A&T’s National Alumni Association. Additionally, Tiffany participates in several other professional organizations and serves on a variety of civic advisory boards.